"Crazy Rich Asians" is scheduled to hit theaters in China on Nov. 30. The date is more than two months after its release in some East Asian territories. LOS ANGELES — After weeks of speculation, "Crazy Rich Asians" has landed a release in China. The brash Asian-centric rom-com hit is scheduled to hit theaters on Nov. 30. Doubt over a release in the world's second-biggest film market had dogged the Warner Bros. film, with observers wondering whether its depiction of ostentatious wealth among the ethnic Chinese super-elite in Singapore would pass muster with China's film regulators. The Chinese government has recently tightened its control of the culture and media sectors, insisting that they uphold "core socialist values." But film authorities announced Monday that "Crazy Rich Asians" would get an outing in China after all. Warner Bros. is expected to confirm details on Tuesday. The date is some three and a half months after the picture's Aug. 15 theatrical outing in North America, and more than two months after its release in some East Asian territories. It released in Singapore, where much of the film is set, on Aug. 22, in Hong Kong on Aug. 23, and in Taiwan on Aug. 24. Chinese authorities set the release dates for imported films. And they vet films for content. Delays are not uncommon and release dates not always coordinated with outings in other territories. However, with Chinese box office sagging in recent weeks, it is very possible that regulators calculated that the theatrical sector needs some hits to keep up the momentum of annual box office growth. The film scored $35 million in its opening five days on release in North America and went on to score $171 million. In China, the film is to be treated as a revenue-sharing import, subject to quota and censorship restrictions. The release is to be handled by state-owned distributors China Film Group and Huaxia Distribution. Possible sticking points in the approval process of "Crazy Rich Asians" included careful attention paid to the adaptation from Kevin Kwan's 2013 novel. In the original book, the heroine's dark secret is a father who lingering in a mainland Chinese jail. In North America, the film was hailed as a breakthrough for a Hollywood picture made with an all-Asian cast. 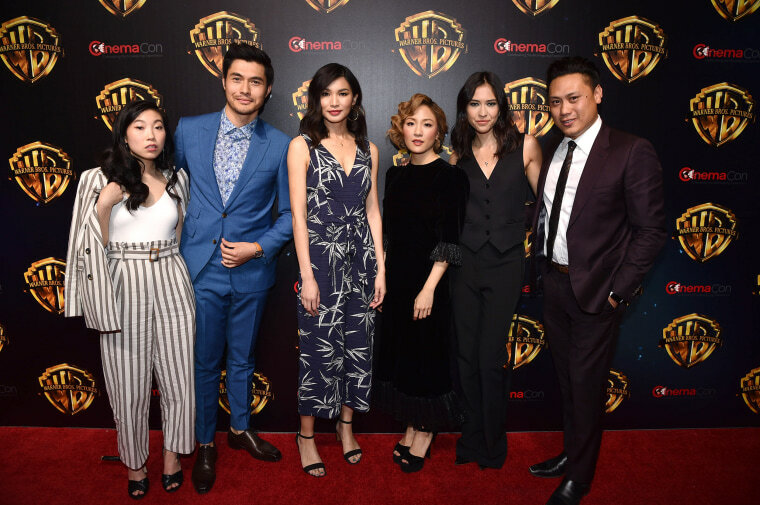 The film stars Constance Wu, Henry Golding, Michelle Yeoh, Awkwafina, Lisa Lu and Ken Jeong. "Crazy Rich Asians" was directed by Jon M. Chu with production by Color Force and SK Global. Warner Bros. is North America and international distributor. In East Asia, driven by curiosity value, and decent word of mouth, the film enjoyed mostly strong numbers. In Hong Kong, it enjoyed $1.84 million. In Indonesia, it was a big hit with $5.4 million from a mid-September release. In Japan, it was a predictable flop, earning just $315,000 from a late September outing.